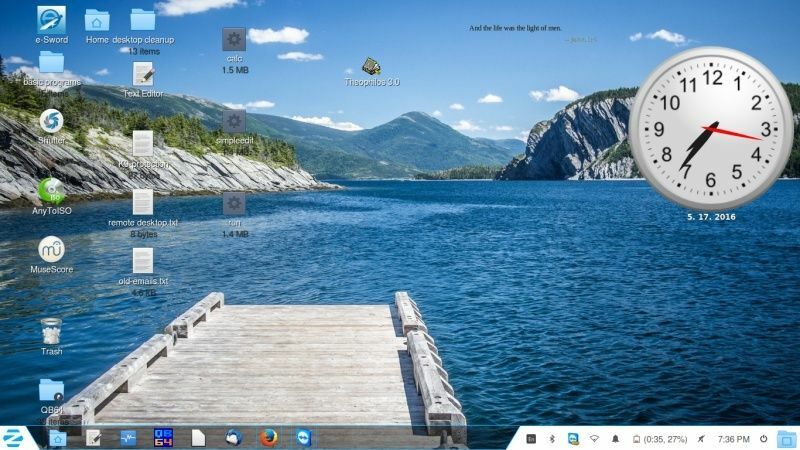 Want to share your zorin os 11 desktop with others? here's the place! The only good thing about Windows is that it never gives you any terminal illnesses. Needless to say, Terminal illnesses are the only problem with Linux. e-Sword- cool! Did you run the tweaks in WineTricks to get the popups to work right? @2guntom: HEY!!!!!!!!!!!!!!! THIS IS INTERESTING!!! WE BOTH JOINED THE FORUM ON THE SAME DAY! replace the link there with your link. Last edited by James tobin on Wed May 18, 2016 2:19 am, edited 1 time in total. wierd.... I see that myself!